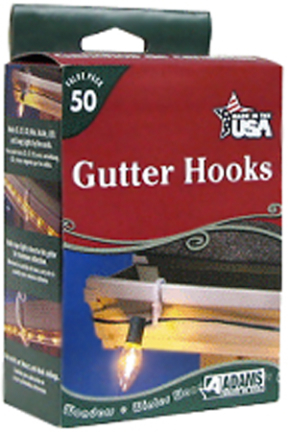 Easy, fast way to put Christmas lights on gutters. Redesigned to hold all sizes of lights, including rope lights. Rolls smoothly on the gutter without damage. Also works on deck railings and fences. Hold multiple light strings and extension cords in one clip.